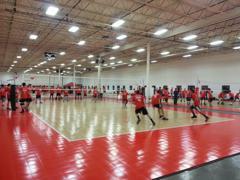 Husky Volleyball is one of the top Boys Volleyball club programs in New England. 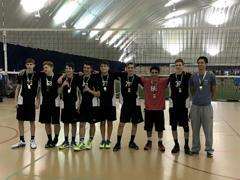 The season runs from tryouts in November through the Regional Championships in March, with the option to re-convene the team after the high school season ends for a trip to the USAV Jr National Championships. Charlie Sullivan will return to the Husky Volleyball boys program as our Technical Director! Coach Sullivan is the recipient of the USA Volleyball “All Time Great Coach” award. His teams have won multiples national championships at Springfield College and has recently worked with the US Men's National team at the 2016 Olympics in Brazil. He has also coached at the Men’s World Cup in Japan (where the US team won the tournament). We’re very much looking forward to having Coach Sullivan work closely with our players and coaches again this fall. Because boys start playing volleyball when they are older, we need your help in getting more younger players participating. Many of our players play just 1-2 years with us before they graduate. 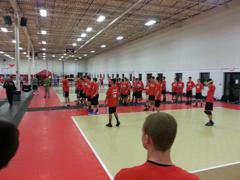 It’s up to all of you to help recruit your teammates (especially the younger ones) to play club volleyball this year. Tournaments are either single-day events on Saturdays or multi-day events that span a weekend with tournament locations typically up to 1-2 hours from Hartford (1 way). Each team practices approximately 4 hours per week (depending on the availability of team members and gym time). Practices will be located in Windsor, CT at The Den. *Only select teams will go to these optional tournaments: USAV National Championships cost addition is TBD.